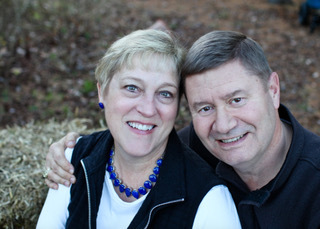 Major General Gregory A. Schumacher and his wife, Kathy, serve as the OCF’s Associate Field Staff for the National Capital Region. He retired after 37 years of service effective 1 September 2011. He is the President of The GS Group, LLC, Adjunct Staff with the RAND Corporation, and a Principal with Deep Water Point. His last assignment was Assistant Deputy Chief of Staff for Intelligence on the Army Staff at the Pentagon from 2008-2011. After selection to Brigadier General in 2004, he stood up and commanded the Military Intelligence Readiness Command (MIRC), the first of its kind functional intelligence command in the Army Reserve. From May to August 2004, he served as the Deputy Executive Director for the Independent Panel to Review DoD Detention Operations. He recently served as a national security advisor to the Ben Carson Presidential campaign, and as Director of Analysis and then Executive Director for the National Commission on the Structure of the Air Force. He is known as a Subject Matter Expert in Active/Reserve component integration, particularly in the intelligence community, and for producing creative, unconventional solutions to optimize limited resources across an enterprise. Major General Schumacher is a 1974 graduate of the United States Military Academy, holds a Master of Education from Texas Tech University, and is a 1998 U.S. Army War College graduate.